(OPride) — Dinqee Abose, 22, comes from a rural village near the town of Mendi in western Wallaga, Oromia, Ethiopia. Married at 18, Dinqee spent five days in labor. There was no hospital or clinic near her village, so traditional birth attendants and her mother-in-law helped deliver the baby. She lost her baby because of her prolonged obstructive labor and ended up with Fistula. Fistula is a hole in a birth canal that is caused by obstructed labor that can last five to eight days. 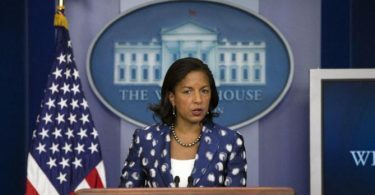 Fifty to100, 000 women worldwide are affected by obstetric fistula each year, according to the World Health Organization. Dinqee and her husband lived on his parent’s property. Her husband farmed his parents land to provide for Dinqe. He died suddenly a year after Dinqee lost her baby, leaving her without crucial support and caretaker. She couldn’t live with his parents after his death. Dinqee moved back with her parents, isolating herself from the community, avoiding church and open markets, for fear of stigma associated with the smell that fistula causes. Dinqee’s father, in his late 60s, became her only support system. After leading a secluded life for more than three years, Dinqee’s father saw a flyer for fistula campaign at a nearby local health center and brought her to Nejo hospital. Dr. Mulu Muleta, a world-renowned fistula surgeon and member of this year’s annual East Africa Medical Relief Foundation (EAMRF)’s mission to Nejo, evaluated Dinqee. Dinqee was our first patient but her story and condition is hardly unique. 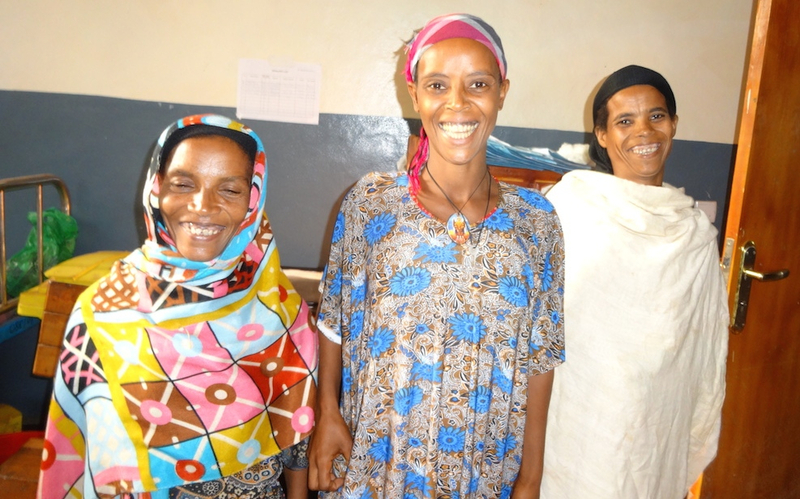 For example, 45-year-old Tsige lived with Fistula for the past 17 years. Her son survived because she delivered at Aira mission hospital via Cesarean section after five days of labor. But she still suffered from fistula. Like Dinqee, she couldn’t go anywhere public, due to the smell of the urine and the stigma that is associated with her due to her condition. “Whatever comes after this is not going to be worse than the past 17 years,” she said when asked to sign a consent form for her surgery. “Angles do exist on earth, the doctor has a healers hand, I’m one of the lucky women to get helped from this Doctor,” said Tsige who walked 6 hours with her neighbor to come to Nejo hospital. A week after her surgery, her estranged husband came to visit her at the hospital. The stories of fistula patients are nearly identical. 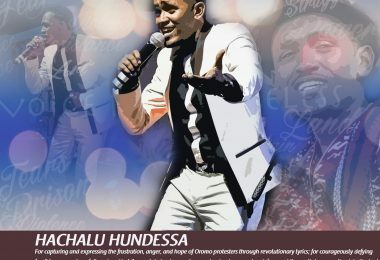 Shumate, 39, lived with fistula for 18 years. Like Tsige, Shumate’s husband took another wife and built a house next to Shumate’s for his new bride. These women are typically attended to by local birth attendant who act as midwifes, but without the necessary training. The women are told to tough it out through days of labor and encouraged to give birth at home in her villages. Some die during labor or lose their babies, and most of them end up with fistula. They can’t bear a child anymore, which leaves them in a difficult predicament in this traditional society where bearing a child is still a near requirement for women. This doubles the stigma: one of being childless and the other of the smell caused by fistula. All the three women said their burden has been lifted up, and that they felt whole again. The surgery was done at no cost to the patients. Mulu volunteered her time and expertise, while EAMRF covered the cost of the supplies and Nejo hospital admitted them free of charge. Two other women, Belete and Dinsiri, were sent to Addis Ababa Fistula hospital for more extensive surgery that needs to be done at bigger and well-equipped facility. The 34-year-old Belete suffered from fistula on her second pregnancy when she was in labor for three days. Unlike the other women, her husband was very supportive and never left her side, helping her wash her cloth and bed sheet that is soiled by urine. Dinsirri, 42, of Nejo, lived with Fistula for 13 years and had surgery at Addis Ababa fistula few years ago but she needed a diversion surgery to close the fistula completely. 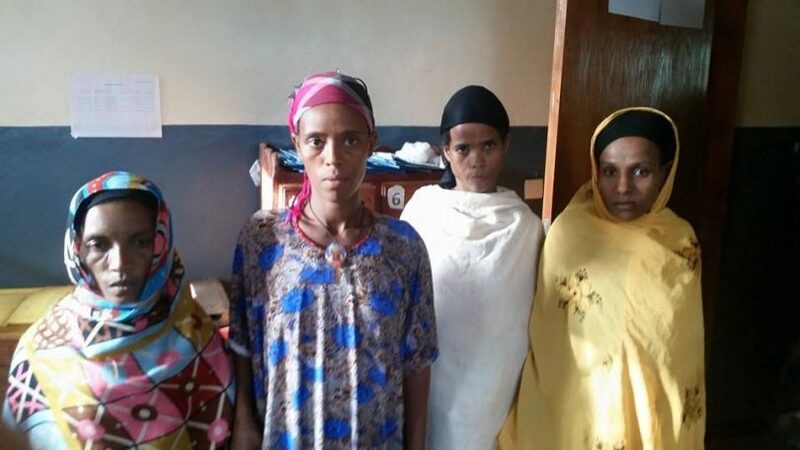 EAMRF was able to cover the costs of their transportation to and from Addis Ababa along with daily allowance for food and other expenses while at the Fistula hospital. Uterine prolapse is an equally debilitating condition as fistula; both of these conditions are multifaceted and affect the woman’s physical body and mind. They are both preventable and treatable, with well-trained health care professionals and health care facilities. 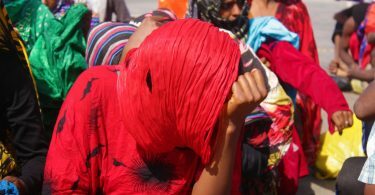 Yet, it continues to affect more women in remote villages all across Ethiopia and other Sub-Saharan countries. Drs Muleta and Hussain (an OB/GYN at Nejo hospital) performed a total of 21 uterine prolapse (UVP) surgeries at Nejo hospital during our trip. The youngest patient with UVP was 18 years old while the oldest wa 76. The patients’ lived with UVP from two to 16 years. Dinqinesh is one of the 13 women brought in from the Jarso health center by a local women rights group lead by a social worker. Her UVP was protruded out preventing her from comfortably sitting, walking and carrying out her daily activities. The stigma of enduring this condition at such early age and the inability to bear another child made her isolate herself from others in the neighborhood. Dinqinesh’s surgery took a few hours and was discharged from Nejo hospital fully recovered a mere 72 hours after the procedure. Drs Mulu and Hussain performed prolapse surgeries on 21 other women. They all had similar, heart-breaking stories: Strenuous physical work in the farm or lifting heavy objects right after childbirth robbed them the joy of good health and motherhood. Of the 21 patients, two of them are sisters from Jarso. They had their surgery done on the same day by the same doctor and were admitted in the same semi-private room for three days, where they will receive follow-up care. While standing out side of the operating room at the hospital, looking at all these women that came from all over West Wollega to have this life changing surgery, I remembered a story my mother once told me: My mom was in a labor for a few hours when she was gave birth to me, and due to the pain and contraction she was in, my family couldn’t drive her to the only clinic in Nejo, after a few hours of what she said appeared to be an obstructed labor, I was born with help of a traditional midwife in the community. EAMRF will continue to work with Mulu and the Nejo hospital and health centers in the area to perform fistula and prolapse surgeries, and educating the community and health care workers on women’s health. It costs $150-200 to help a woman get a fistula or prolapse surgery. There is nothing more gratifying and satisfying for me than watching these women smile with the hope of leading normal lives again. I am grateful to all EAMRF donors and particularly, Mulu, who volunteered her time and expertise. If it weren’t for her and so many generous donors and allies, these women would have lived with their conditions for the rest of their lives. Mulu had a huge impact on the lives of all her patients. She was highly attentive and personable, speaking to the patients in Afaan Oromo, and in ways they can understand the procedure and aftercare. Her interaction and communication with the patients eased their fears and anxiety that was so palpable when they arrived. Special thanks also go to Hussain, the entire staff of OR nurses, anesthesia team and the two midwife nurses at Nejo hospital. An anonymous cardiologist from California has been sponsoring and sending a sonographer or echocardiogram technician to Nejo for the past three years through EAMRF. His goal is to identify children with congenital heart defect and rheumatic heart disease and provide them with a timely treatment. 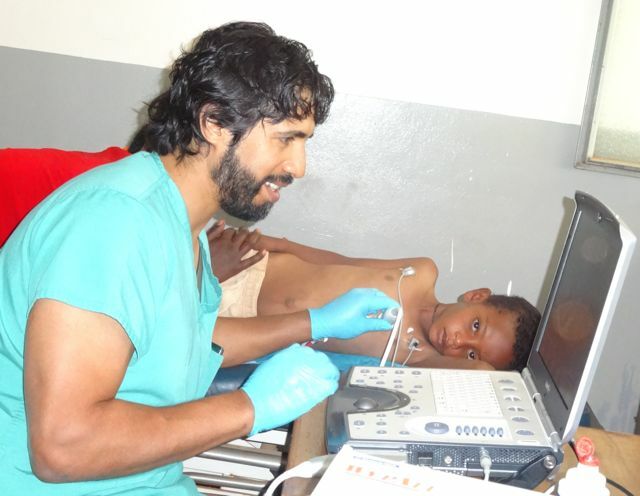 Last month, during the EAMRF’s fistula surgery campaign, Rick Rodriguez of Modesto California did an echocardiogram or ultrasound on 37 children who had heart disease. Nearly half of the children will require some type of surgery to save their lives. Some of them have a condition known as Ventricular and Atrial Septal Defect — a hole in their heart at birth. All of the children were given a three-month worth of cardiac medication to control their symptoms, after extensive consultation with their families. Most of the cardiac medication was donated by Memorial Medical Center and Dr. Hussain in Modesto; and EAMRF purchased additional medications from Nejo hospital. EAMRF representatives will be following up with the cardiac patients periodically, with the help and consultation from Pediatric Cardiologist in Finfnnee. We will continue to supply the children with medication, as we seek hospitals or physicians in the United States, Canada or India that can perform the required surgery to save their lives. “It is heart breaking to scan all those little kids, with a big hole in their heart,” said Rodriguez, “especially when you know they can’t get the surgery here in the country.” This is his second trip to Nejo hospital in as many years to perform the echo screening on children. During the third week of my trip, EAMRF in collaboration with the Here4them, a California-based nonprofit, conducted Cataract and Cleft Lip surgery campaign at Nejo hospital. Dr. Freed, a surgeon from Auburn, California did nine cleft Lip surgeries and five minor cyst removals in two days. He operated on a patient as young as six month on his second trip to Nejo. He then went to Gimbi Adventist Hospital to perform more surgeries there. Scott Barlow, an RN and the co-founder of Here4them, assisted him in all the surgeries at Nejo hospital. I gave discharge instructions and medication to the patients and families after their 36 hours hospital stay. More than 160 patients screened for cataract surgery by Nejo hospital by optometrist nurses, Legesse and Abeya, prior to EAMRF’s arrival in Nejo. The patients came from Nejo and surrounding towns including Assosa, Begi, Gidami, Gimbi, Mendi, Kiltukara, Bodjii, Jarso, Babambas and others. Dr. Ardron, an ophthalmologist from Sonora, California, returned to Nejo with his wife, Dr. Marigold and their two sons (Joseph 12 and William 23), as well as a clinic employee Julie, who helped him in the operating room during the cataract surgery. Akira, a certified nurse anesthetist from California helped Ardron by administering anesthesia to the patients prior to their surgeries. Mark Pierson, the Co-founder of Here4them, worked tirelessly on the electrical system, managing the two generators we used for the eye surgery and running the autoclave machine to serialize the cataract equipments. Ardron performed 115 cataract surgeries in seven days. His patients’ age ranged from 7 to 90 years old. Kibitu M., 30, was a mother of 4 kids from Begi, and needed cataract surgery on both eyes. Tsega A., 16, of Bodji Dirmaji 25 kilometers, has been blind for about 7 years and stopped going to school due to the loss of his vision. “I want to go back to school and use my right eye,” he said before the surgery. He’s ecstatic and hugged everyone in the operating room afterwards. I’m beyond grateful to everyone who traveled the extra mile to come and help my community. Ardron has sent cataract surgery equipments and teaching microscope to Nejo and Gimbi during the cataract campaigns he plans to return to Nejo next year with his family to perform more cataract surgeries. I am grateful to the entire Nejo community for their warm reception and farewell party for this year’s medical mission. The tireless Nejo hospital staff was as usual flexible and willing to work with us. I thank them with all my heart. 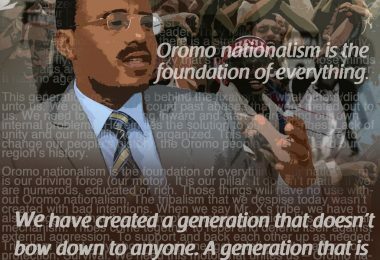 Last but not least, this won’t be possible without the generous financial support and constant encouragement of friends and family in North America, as well as members of the Oromo community in Minnesota, Washington, D.C., Seattle and Northern California.